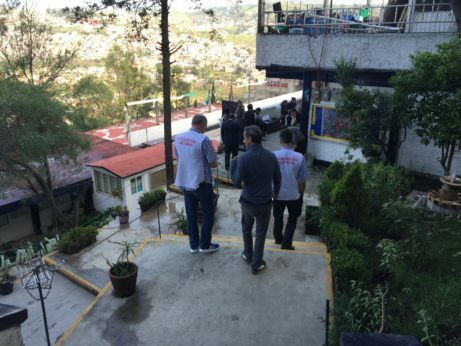 I followed behind as he left the classroom and moved through the voters who crowded round the closed door to the classroom containing our comrades, Carl Maden, a CWU national executive member, and Louis Lemus, a neuroscientist at the National Autonomous University of Mexico (UNAM) and fixer for our electoral observation brigade. While I looked for an escape route, Alberto, who escaped political oppression in his native Colombia in the 1970s, cautiously pushed open the door and went inside. When he didn’t re-emerge right away, the lizard part of my brain screeched at me to abandon my team and leg it. I’d been on edge as soon as we’d showed up at the school last Sunday to monitor the opening of the polls as part of a delegation of trade unionists, activists, and academics, organized by the London-based human rights organization Justice Mexico Now and Mexican activists from Scholars and Citizen Network for Democracy (RUCD). One man, in particular, seemed annoyed by the four of us. Dressed in an immaculately pressed designer suit and aviator sunglasses, his gaze followed our movements around the school as we carried out our observations. The way his thumb hovered over his phone, as if ready to call in the goons at a moment’s notice, was quite concerning. Elections in Mexico have traditionally been little more than a pantomime, providing the veneer of democratic legitimacy that the Institutional Revolutionary Party (PRI) needs to maintain its nakedly corrupt, 71-year stranglehold over the country. The RUCD was created in February at a UNAM academic conference on democracy. “We concluded that there was high likelihood of fraud on July 1,” Ackerman said. And so the RUCD was formed and international observers were invited to monitor the elections from across the Americas and Europe. “There is a full menu of ways to alter the electoral results. 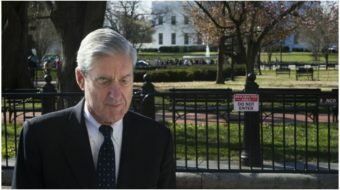 Before the elections, you have pressure on people who receive government benefits, such as single mothers, students, the elderly, to vote a certain way. 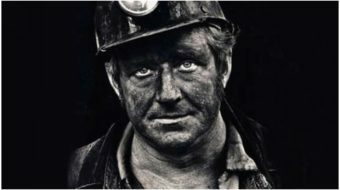 “We have this incredible potential; we have incredible revolutionary heritage. The Mexican revolution was the first social revolution of the 20th century. Our constitution is incredible, we have the right to ‘dignified and socially useful’ work, to healthcare and to education. Before Alberto had gone into the classroom, I’d tried calming my nerves by thinking what a headache it would be for the narcos to kill or kidnap foreigners. Surely the British embassy would be bad for business. But then I remembered the 34,000 forcibly disappeared people and the fact that “those responsible enjoy almost absolute impunity,” as a 2017 Amnesty International report puts it. She told me how families of the disappeared find little help from the police, and so they buy their own shovels and search for the bodies of their loved ones. Clearly, I’d overreacted. But I was relieved when we left that place. I wasn’t the only one who felt something wrong about that polling station. One of the polling booths in the school was set aside from the rest in a classroom on the other side of the school. “None of the staff in there had any ID; the boss had no idea about the process and didn’t like it when we started asking questions,” Carl said when we got back in the car. We spent the rest of the day visiting four other polling stations in Naucalpan, which were, thankfully, nowhere near as tense or seemingly corrupt as the first. Eventually, we made it back to the capital and to our final polling station in Mexico City’s upscale Polanco district, a whole other world to where we started. It later transpired that the pampered people here voted overwhelmingly for the National Action Party (PAN), the main right-wing opposition party and equally corrupt as the PRI. 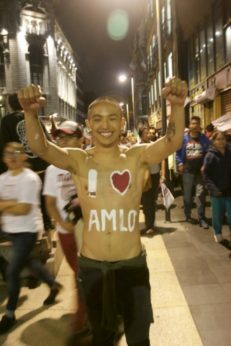 A supporter shows off his backing for Andrés Manuel López Obrador, or AMLO, in the streets of Mexico City during the victory celebration. | Fred Cocker / Morning Star. 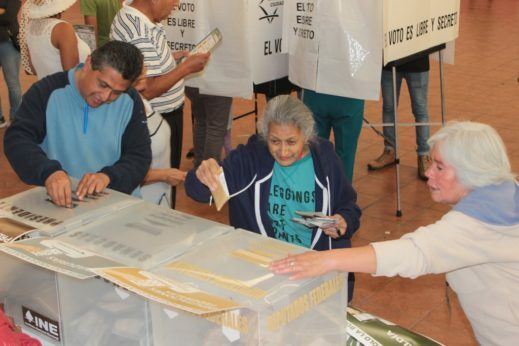 Within three hours of the polls closing at 6 pm, both leaders of the PRI and PAN capitulated. 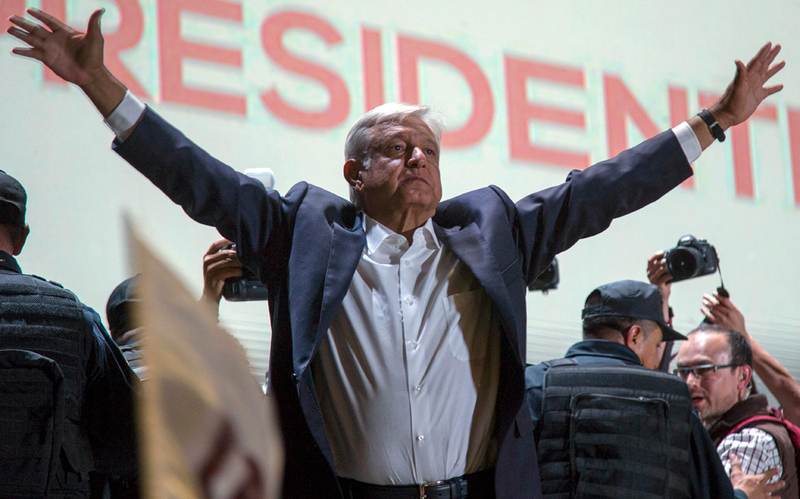 The exit polls had predicted left-winger Andrés Manuel López Obrador’s lead was insurmountable. He and his party MORENA (Movimiento Regeneración Nacional, or National Rejuvenation Movement) had swept the local, senate, and chamber of deputies elections. Carl showed Louis this on his phone. “I cannot believe it,” Louis said as tears began to flood his eyes. “Sorry,” he said, walking towards a window and no longer able hold back the flood. “I’ve been working towards this moment my whole life. It took over an hour to drive the roughly 4.5 miles from Polanco to Francisco Madero Avenue to join the tens of thousands of López Obrador supporters marching down the famous street towards Zócalo, Mexico City’s main square and where the president-elect was to give his victory speech. The march was a sea of Mexican, MORENA, and rainbow flags. Wearing Mexico’s football kit, López Obrador masks, sombreros, and luchador masks, they chanted: “México sin PRI” (Mexico without the PRI), “Sí, se puede” (Yes, we can), and “El pueblo unido jamás será vencido” (The people united will never be defeated). The challenge facing López Obrador and the MORENA party cannot be overstated. Corruption must be tackled, the narco traffickers overcome, social welfare expanded, workers’ rights strengthened, the military taken off the streets, the police whipped into shape, and justice must be delivered for the families of the disappeared. This will not be easy. There will be plenty of opposition within and without Mexico, not to mention its imperialist northern neighbor which has never stood for anything even vaguely socialist in the same hemisphere. For most of its history, Mexico has been ruled over by a political class that dressed up its corruption in the progressive ideals of Pancho Villa and Emiliano Zapata to serve its own interests. But last week, the Mexican people proved that we can overthrow those who have exploited us for generations if we organize. Ben Cowles is web editor of Morning Star, where this article first appeared. You can celebrate López Obrador’s victory with him on Twitter on @Cowlesz. You can find our more about Justice Mexico Now on facebook.com/JusticeMexicoNow. 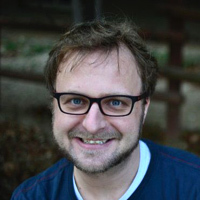 Ben Cowles is deputy features editor and gaming columnist at the Morning Star, the socialist daily newspaper published in Great Britain.